The most important trends are ones that have been underway for some time. Almost nothing that really matters just pops up and takes over. Things that just pop up and business commentators talk about how revolutionary they are almost always fall under the heading of “fads.” They fade very quickly. It’s easy to look at technology as the cause of trends or changes, but the biggest factors driving change have to do with ideas, especially ideas about management. The biggest of these, which has been going on for two generations at least, is the tension between empowering employees as a way of running business vs. controlling them from the top, treating them as assets vs. treating them as liabilities. Through the 1960s, they were clearly seen by business and organizational leaders as liabilities to be controlled: The terrible productivity and quality issues in manufacturing in the 1970s followed by the superiority and lessons from Japanese management pushed reforms like quality circles and other efforts that empowered employees; the rise of finance as a function but also as an operating model (squeeze costs to increase profits) then cut the other way through the 1990s; the extremely tight labor market in the late 1990’s suggested that employers better do what employees wanted if the employers were going to hire them; then the economic decline and the pressures of the great recession pushed back to squeezing employees again and treating them as liabilities. The latest skirmish in this battle is the rise of agile project management and principles for organizing work, which move away from top-down planning models to one that pushes decisions down to the front line, even product and design decisions, and uses feedback and iteration to guide decisions. This model is more or less dominant in information technology departments, but the news is that it is now being adopted in broader business operations. The reason is because it provides a much faster and more effective way to innovate, an increasing priority. Lots of business practices must change for these agile practices to work, and the battle back-and-forth over those practices – such as whether traditional, top-down, annual performance appraisals will remain – is raging as we speak. The evidence is very clear that there are big advantages to empowering workers and big costs to trying to manage top-down. Evidence hasn’t played much role in these debates, though. Typically the story is that the people advocating the top-down approach don’t know or understand the arguments and evidence, they don’t have the skills or competence to manage empowered workers, and they aren’t inclined to investigate. Again, the big challenges and opportunities are really around big ideas. The biggest one may be a governance question about corporations, especially big ones. How are they supposed to operate? In recent years, perhaps in response to the need for short-term performance, many of them have started looking like venture capitalists, where members of the company pitch projects to the leadership in search of funding, where companies acquire start-ups as a substitute for doing their own research and development. A critic would say that they are not making use of their scale. 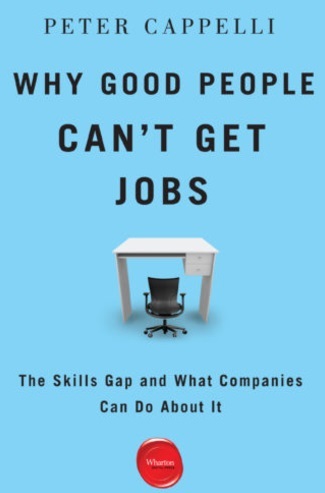 We see that within these companies as to how they manage their employees, dismissing quickly when jobs change instead of retraining or repositioning talent, hiring from the outside to replace them. Will they go back to placing big bets on projects they manage themselves? Can start-ups continue to be the source of innovation and development? I suppose the most interesting inspiration I had was in writing about what was going to replace lifetime employment in companies. If they weren’t going to grow their talent from within, how should they think about the problem? The answer came from supply chain management, where my colleagues in operations research spent decades studying how businesses would get just the right amount of supply of some component to the right place at the right time. The principles for what happens in the workplace, especially the underlying challenge of managing uncertainty, are central to both topics. Many, many things depend on how strong economic growth is and, in turn, how tight the labor market gets. If it gets tighter at least in the US, we will hear lots more complaining that there is something wrong with the labor force, that we need more immigration, and so forth. But some smarter employers will start training workers again and start managing them more carefully to secure a competitive advantage over those who aren’t doing that. As with empowerment in general, the most effective technique is to give people control over something they care about and ownership – even if it just reflects recognition – over what they do. For my colleagues in the academic world studying business, I think it is important to remember that the people who support us are not doing it because of we study things we like. And social science, like other forms of science, is about studying reality. The more we focus on issues only of concern to us and the less we study actual events and experience, the more likely we are to disappear.